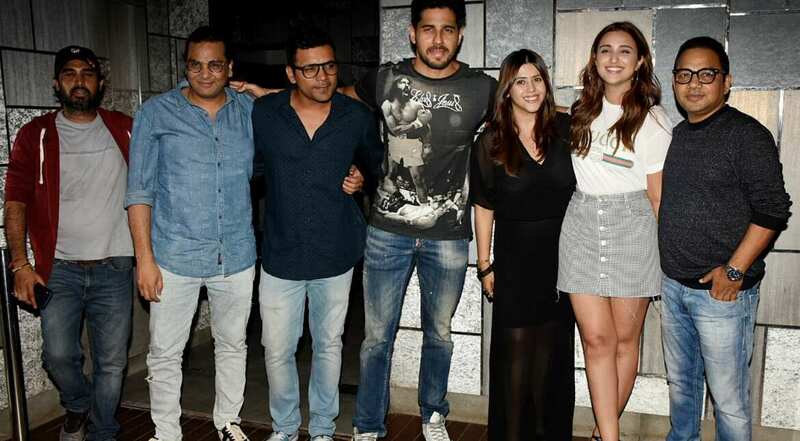 Sidharth Malhotra who leads the film with Parineeti Chopra took to his social media platform to thank the cast and crew of the film as they wrapped the shoot. The film is said to release on July 12, 2019. Cast and crew of 'Jabariya Jodi'. This is the second film that Sidharth Malhotra and Parineeti Chopra have teamed up for after delivering a hit film 'Hasee Toh Phasee'. The team wrapped up the shooting of the film on Tuesday and celebrated their whole year of hard work with a wrap up party for everyone in the team. The romantic drama went on floors last year and since then Sidharth and Parineeti have shared several posters from the movie.The romantic comedy also stars Aparshakti Khurrana, Sanjay Mishra, Neeraj Sood, Gopal Dutt, Javed Jaffrey and Chandan Roy Sanyal in pivotal roles. Parineeti and Sidharth: A romantic pair? Parineeti looked cute in a checkered skirt and white tee while Sidharth also kept it casual in denim and black shirt. At the meet when someone asked them if this was a romantic film, Sid said 'no' to which Parineeti added, "It's a murder-mystery and I murder Sid."